Are you in need of a power scooter, power wheelchair, knee scooter or any ambulatory aid product to assist you? E Care Medical Supplies has the right ambulatory aid product for you! Ambulatory aid products have been engineered to assist those who need it or to improve the mobility ranges and possibilities in people who are impaired due to injury or a medical condition. There is a great variety of ambulatory aids products available to the public and the most affordable ones you can get are found at E Care Medical Supplies. We can delivery any of our ambulatory aid products to your home or facility! We proudly delivery our medical equipment to the Houston area and the following Texas Cities: Alief, Alvin, Austin, Bacliff, Bay City, Baytown, Beasley, Beaumont, Bellaire, Bellville, Brazoria, Brookshire, Buna, Channelview, Cleveland, College Station, Columbus, Conroe, Corrigan, Crosby, Cypress, Dayton, Deer Park, Dickinson, Freeport, Fresno, Friendswood, Fulshear, Galena Park, Galveston, Giddings, Gonzales, Hempstead, Highlands, Hitcock, Hockley, Houston, Huffman, Humble, Hungerford, Huntsville, Katy, Kemah, Kendleton, Kingwood, La Grange, La Marque, La Porte, League City, Liberty, Livingston, Lufkin, Magnolia, Manvel, Missouri City, Mont Belvieu, Montgomery, Navasota, Needville, New Caney, New Waverly, Orchard, Pasadena, Pattison, Pearland, Pinehurst, Plantersville, Porter, Prairie View, Richards, Richmond, Rosenberg, San Antonio, San Felipe, Schulenburg, Seabrook, Sealy, Silsbee, Simonton, South Houston, Splendora, Spring, Stafford, Sugar Land, Sweeny, Texas City, The Woodlands, Thompsons, Tiki Island, Tomball, Victoria, Waller, Wallis, Webster, West Columbia, Willis, Woodville, and much more! 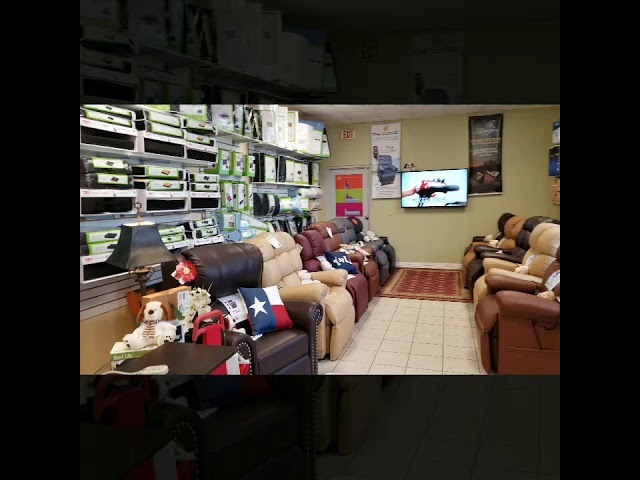 We also offer medical equipment rentals on Geriatric Chairs, Knee Scooters, Mobility Power Scooters, Pediatric Wheelchairs, Power Wheelchairs, Reclining Wheelchairs, Rollators, Transport Chairs, Walkers, Wheelchairs, and much more! Some of the zip codes we deliver in Giddings are: 78942, and many more zip codes. When mobility is a concern, E Care Medical Supplies is here to assist you in choosing the best solution to help achieve optimum independence for you or your loved one. We are here to provide guidance, support and advice on the options available to you, and will help you select the ideal solution to improve your independence and enhance your lifestyle. Call us to learn more about our Ambulatory Aid Products today!